Your resource for home remodeling. 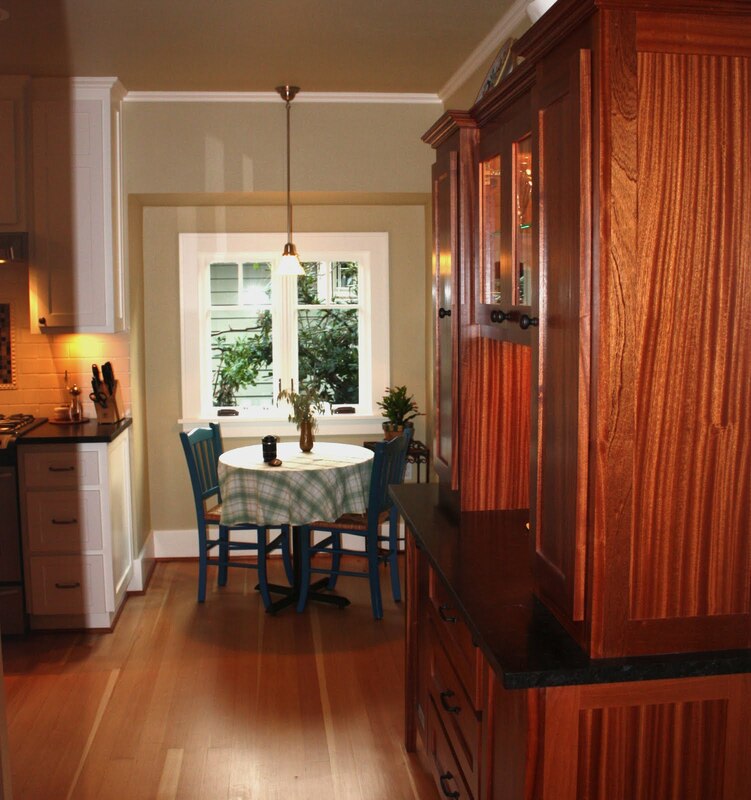 FEATURING: Original fir floors, white cabinets, honed black granite countertops, decorative glass mosaic, farm sink, mahogany lighted buffet. This compact kitchen packs everything you need in a small footprint and still manages to have room for an eating area and a serving buffet. 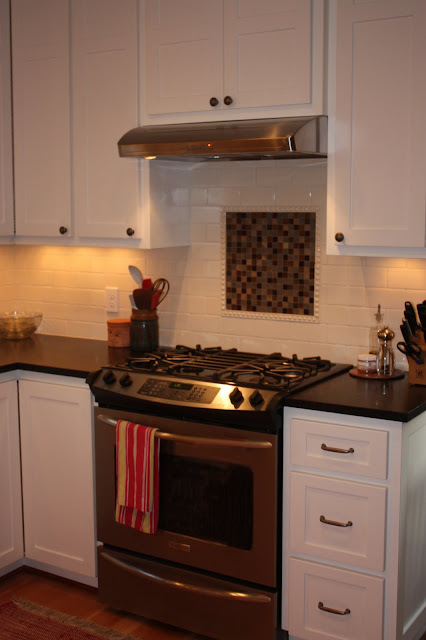 Beautiful glass mosaic focal point. Microwave oven, toaster, coffee maker all tuck behind the refrigerator out of the direct line of sight in the kitchen. 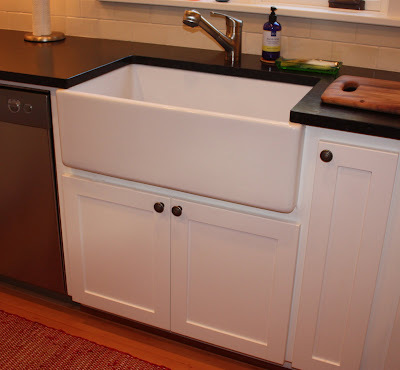 Farm-style sink adds vintage detail. 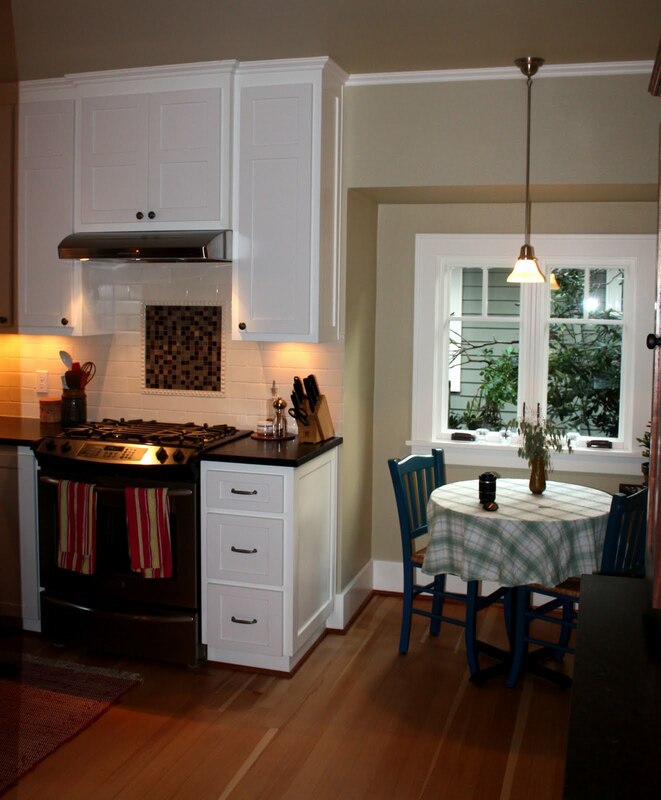 Even a small kitchen can have a lovely place to drink coffee and peruse the newspaper, or sip on a glass of wine by the garden. 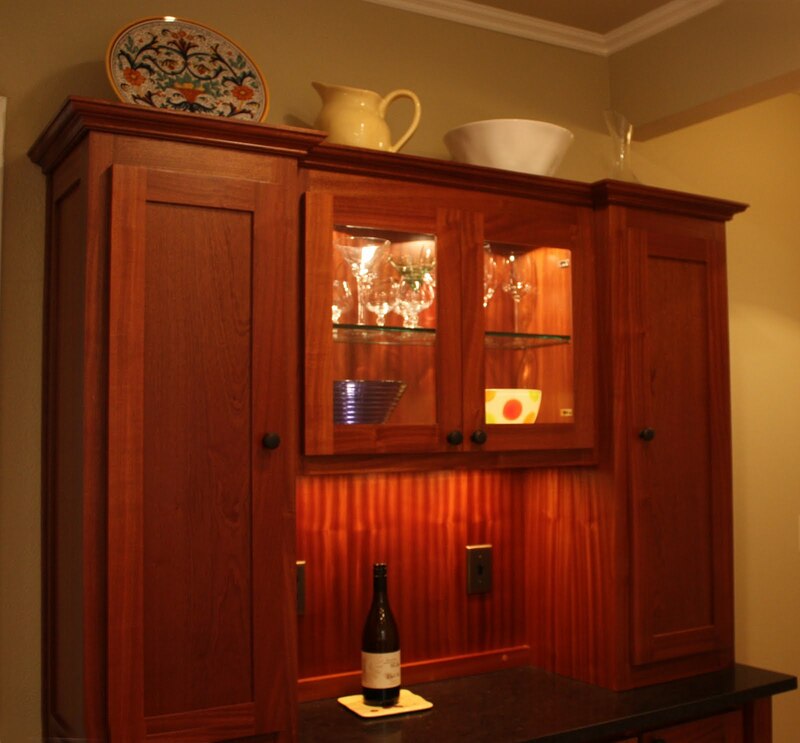 The mahogany lighted hutch fits perfectly with the bungalow style and adds a "wow" factor when entering the kitchen. 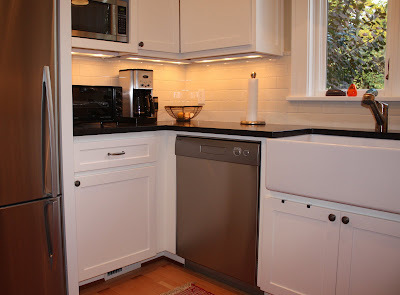 The sight line from the living room. 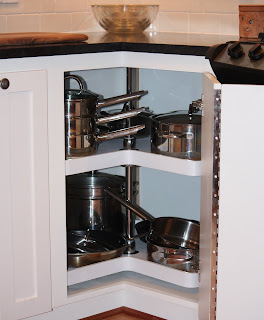 Lazy-Susan Corner Cabinet - a must for a small kitchen to squeeze as much storage as possible.